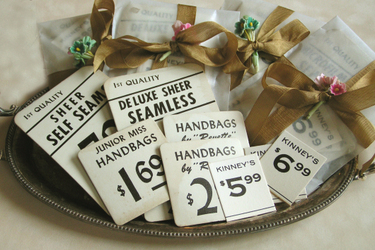 The Petite Parcels of Vintage Price Signs that I shared with you a few days ago are now listed in the shop! And since many of you seem to love the silver dresden crowns, I've decided to add another style to the mix. 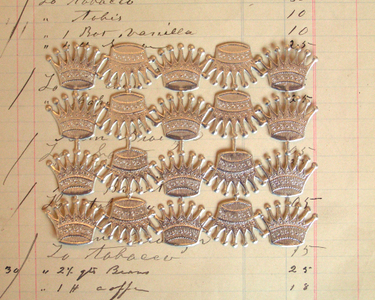 These are a bit larger and an all together different kind of crown. They can be found here. I hope you enjoy the new paper things! I've got gorgeous whimsical gift tags to add tonight. I'll keep you posted. Can't wait to see what you get. So pretty! Lovely lovely lovely! 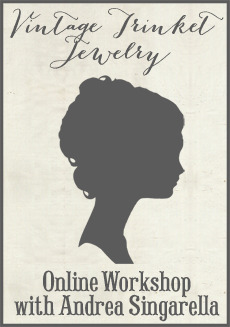 Your blog is a delightful place to visit as it is jampacked with all kinds of creativity. The petite parcels of price tags are gorgeous.